NETWORK UPDATE: DANCING WITH THE STARS hung on better than expected in adjusted network numbers, retaining all of this morning’s 2.4 (still a season premiere low). AMERICAN NINJA WARRIOR gained 0.1. ESPN’s MONDAY NIGHT FOOTBALL was unsurprisingly the dominant cable show last night, topping last week’s game by half a point at 5.78. 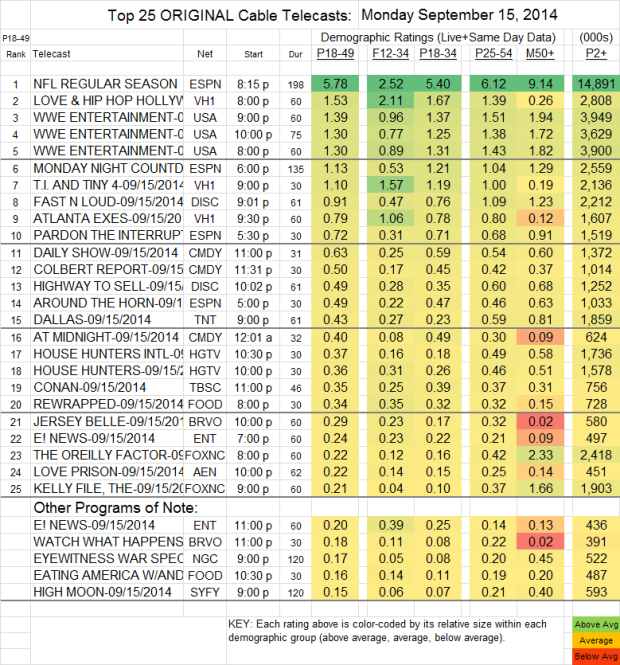 LOVE AND HIP-HOP (VH1) switched venues from Atlanta to Hollywood and lost a big chunk of its audience, down 0.34 to 1.53. However, its companion shows were both up, TI & TINY by 0.07 to 1.10, and ATLANTA EXES by a tenth to 0.79. 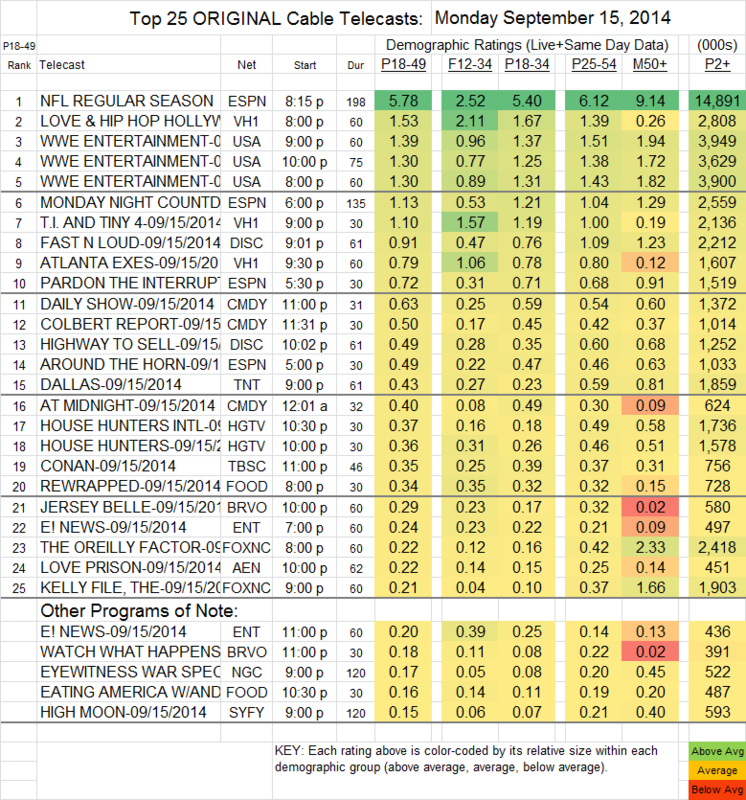 The 3 hours of WWE (USA) were at 1.30-1.39, down more than a tenth from last week. FAST N LOUD (Discovery) gained 0.11 to 0.91. DALLAS (TNT) is just about the only scripted show left on Mondays in this interim between summer and fall seasons, and it barely budged at 0.43.